Can you imagine a watch with a silicone band and a high quality quartz movement? It would be superbly comfortable and stylish! 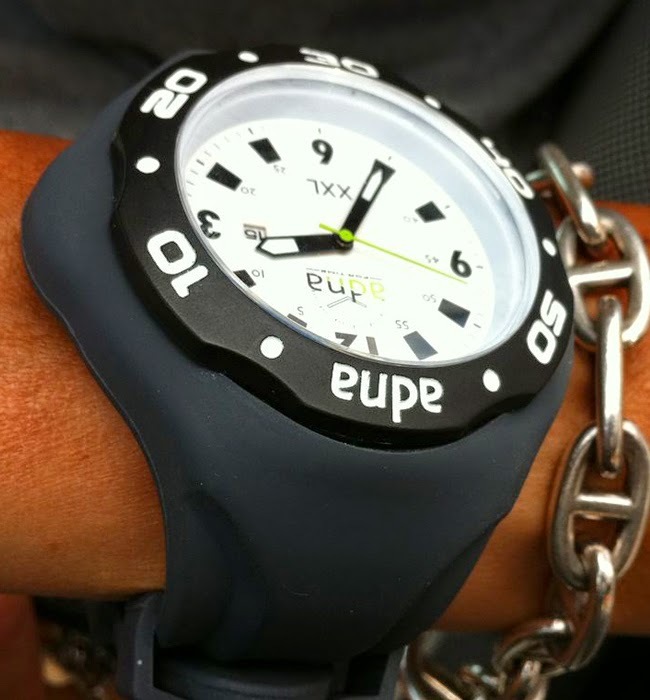 Fortunately, Belgian watch designer Alain De Nys imagined just such a watch. The new ADNA watch brand features interchangeable silicone straps and superbly readable dial and a high quality quartz movement from Japan. 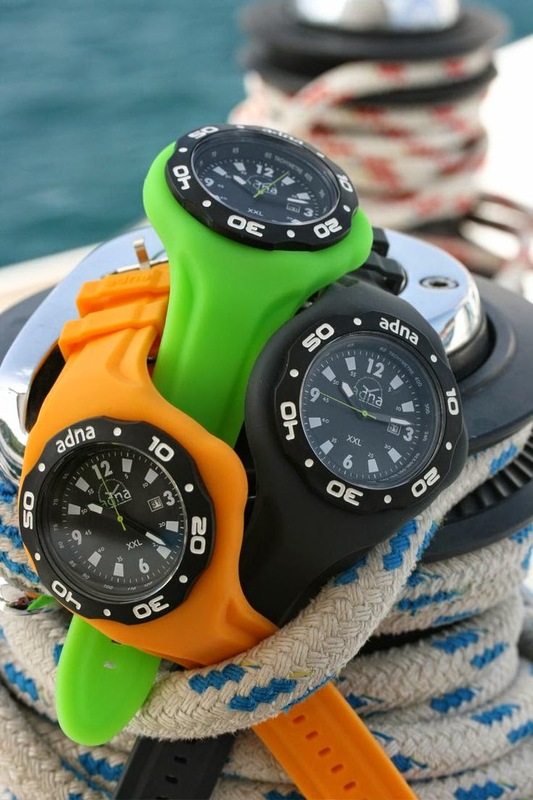 The ADNA XXL line brings comfort, design, and functionality together in a timepiece that we can all afford! If you've ever owned a watch with a silicone strap, you know that it is a really comfortable material to wear. Plus, multiple colors are available. If you are a traditionalist like me, you can stick with black or gray. But, if you want to open up your options, you can buy a color like lime green, white, or orange. If you buy more than one, you can swap the straps around. These dive-style watches are water resistant to 3 atmospheres (98 feet) and are perfect for closing out the summer relaxing by the pool or kicking back at the beach. For more information about the company and the collection, check out their European website: http://www.adna-watch.comwww.adna-watch.com. 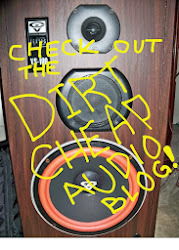 Great article for an amazing product! Thanks to Watch Dude!